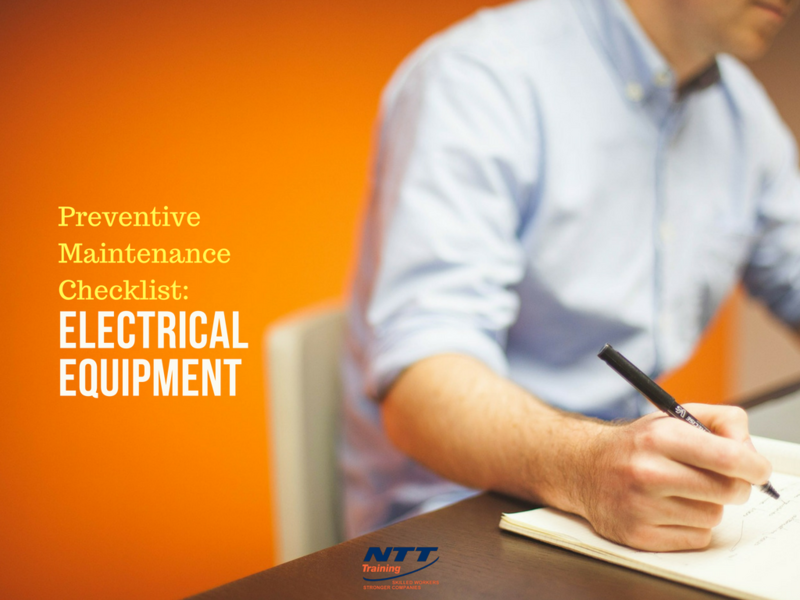 A great deal of care must be taken when handling sensitive electrical equipment. The smooth functioning and long term use of the equipment depends upon ensuring quality maintenance and carrying out machine inspections at regular intervals. A host of data relating to the equipment must be checked and verified during these inspections. 1.) To identify the main actions required for maintenance and make them a part of the program activities that result in benefit to the company at the allocated budget. 2.) To minimize breakdown as well as corrective maintenance and ensuring satisfactory conditions for equipment storage and operation in order to improve plant reliability. A large number of activities are performed under the umbrella of preventive maintenance. – Scheduled inspections for the machines at regular intervals. – Testing the machines to make sure they are in good working order. – Servicing the machines that are in need of a fine tuning. – Replacing defective or obsolete machine parts before they reduce the efficiency of the entire system. – Repairing the parts that have been damaged but can be salvaged by a seasoned professional. – Adding a list of procedures for each individual piece of equipment in the program. There are many benefits to conducting a successful preventive maintenance program. First of all, the equipment is maintained at its optimum working condition. This cuts down on the need for purchasing or repairing new equipment when it should have been properly serviced to begin with. It also helps avoid unplanned breakdowns in operation of the machines. Additionally, it ensures old and obsolete equipment is filtered out of the system. Finally, it adds a level of accountability to the use of equipment and machines and ensures any weak points are immediately noticed and corrected. Keeping the equipment properly maintained can save a lot of time, labor, and money in the future. There are several points you need to keep in mind when going over electrical equipment. The lamps and bulbs in use should be checked at regular intervals. In case of operational failure, entire batches of bulbs might need to be replaced. Lighting equipment that makes use of transformers, control gear, lenses, and similar devices should be whetted to ensure the smooth function of the machine as a whole. All the sockets and switches should be checked to make sure they work correctly. Electric outlets that have burnt out pose a grave risk to users, and can compromise the working of the whole operation. Plugs should fit firmly into the sockets, and electrical extension devices should be in good working order. The safety devices put in place to act as warning systems in case of emergencies should fulfill their function. The employees must be aware of safety drills and additional information on how to react in an emergency. The air intake should be ascertained and the air filters and condenser motors should be working properly to produce breathable air. Blower motors should not vibrate too much or make excessive noise. Air ducts should not contain any obstructions and loose panels and guards must be replaced or repaired. The condition of the floors, walls and ceilings should be examined. Signs of leakages and structural defects must be immediately detected. Faulty taps, showers and faucets should be fixed as early as possible. Emergency equipment must be within reach and alarm detectors must be operational. Windows and doors must work properly. Growth of plants and trees must not impede operations. All the railings, safety guards, and fences must be in place. Drains and gutters should function efficiently in disposal of waste. The parking and driveway area should be checked structurally and all the signs and signals must be in good working order. Leaks and unusual noises must be reported and followed up to the source. Water pumps and circulation boosters must be examined and lubrication applied at least once a year. Drinking water filters must be cleaned and replenished, while water heaters and coolers must be inspected for wear, pitting, and leakage of fluid. In addition, past records of system repairs and replacements should be reviewed to detect and correct any chronic malfunction patterns. A thorough analysis of the equipment maintenance and repair data is needed to find the areas in need of improvement.